Civilization ended long before Lynn Tanner was born. Wild animals roam the streets, but mankind is still the biggest threat to a woman alone in the ruins of a world reclaimed by nature. Lynn survives by sleeping with one eye open at all times and trusting no one but her dog. 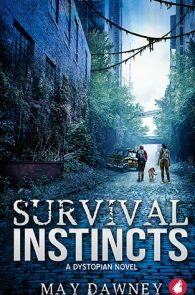 When she is forced to go on a dangerous journey through the concrete jungle of New York City, Lynn does all she can to scheme her way to safety. Her guard, Dani Wilson, won’t be played that easily, however. As their lives become entwined, Lynn finds herself developing feelings for Dani and is forced to find the answer to the question that scares her most: is staying alone really the best way to survive? 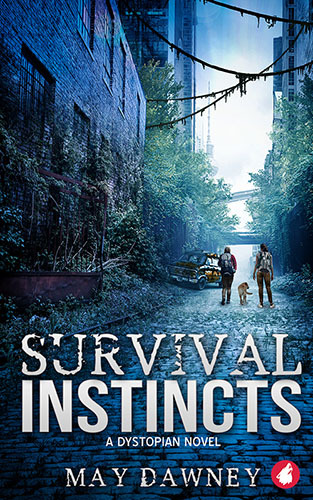 Fast-paced and full of adventure, Survival Instincts introduces a post-war dystopian world where the only person you can rely on is yourself…unless you fall in love.